Pssst- wanna know the best new thing since PB & J? First clue is…I’m sipping it as I type this and baby, it’s rich and velvety and slips down nicely. Give up? 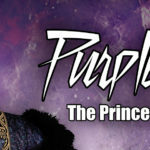 Ok,it would be……are you ready for this……???? 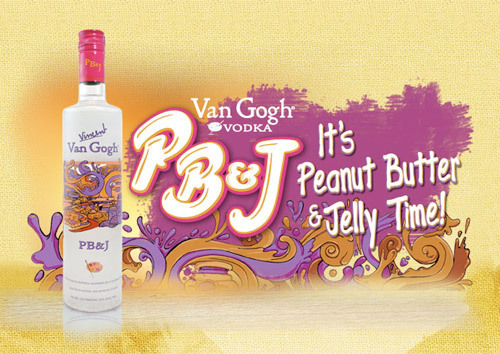 Van Gogh Vodka’s new Peanut Butter & Jelly flavor. More precisely, we’re talking smooth peanut butter and an intense raspberry flavored jelly,with just the right touch of vanilla undertones. After a few you’ll really be ready for nap time. Add ingredients to a tall glass of ice and stir. PB & J vodka is produced in small batches by Master Distiller Tim Vos at the Royal Dirkzwager Distilleries in Schiedam, Holland. If you’re not a fan of P B & J (perhaps you had enough of these sammies in grade school to last you a lifetime), no worries. Van Gogh Vodka has 21 other authentically flavored vodkas to entice you, such as Rich Dark Chocolate, Double Espresso (oooh, I’m going to mix these two together for a mocha that really packs a wallop), Mojito Mint, Acai-Blueberry, etc.